A customer recently contacted me to see if CCTV Camera Pros had any recorded video surveillance footage captured using 1080p security cameras. He wanted to compare the video quality of an HD camera system to his current analog CCTV camera system. Specifically, he wanted to see the video quality when playing back recorded video on the DVR. 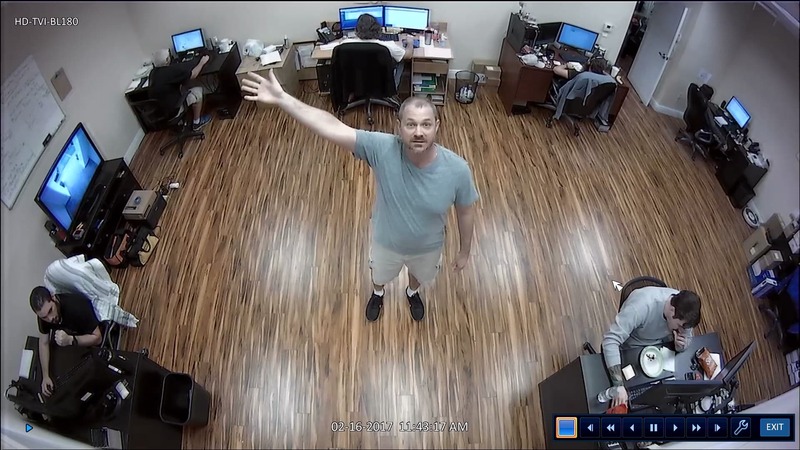 Watch this video to see what the quality of 1080p video surveillance captured using 2 AHD cameras and 2 HD-TVI cameras recording to an iDVR-PRO HD surveillance DVR. Please be sure to adjust the resolution of the video player to 1080p resolution. It is worth noting that the video quality can vary greatly among DVRs even if their specifications match closely and say that they support 1080p video resolution. 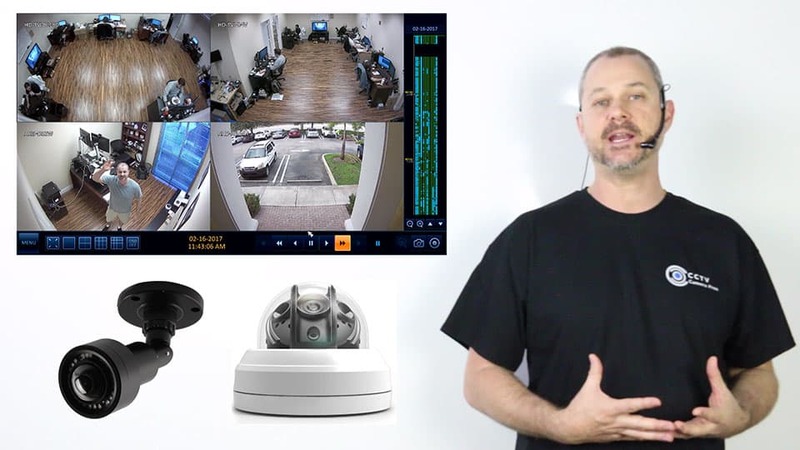 If you are considering the purchase of a new HD security camera system or you want to upgrade your existing analog CCTV system to HD, you should ask to see sample video captured using the cameras and DVR that you are looking at. Here is the video surveillance equipment that I used to capture the footage in the above video. All cameras support 1080p video resolution and the DVR was set to record at 30 frames per second at 1080p resolution. With each of the cameras, there is a still photo that was captured from the video surveillance footage. Please click on any of the images to see the full-sized 1080p resolution. These are the two 1080p AHD security cameras that I used. This is the AHD-D32W indoor HD dome security camera. It has built-in infrared night-vision and a 2.8-12mm vari-focal lens. This is the AHD-AD24H weatherproof HD dome security camera with built-in infrared. This camera can be used indoor and outdoor. Here are the two 1080p TVI cameras that I used. This is the HD-TVI-BL180 HD bullet-style camera with 180-degree lens and built-in infrared night-vision. This camera can be installed indoors or outdoors (it has a weatherproof housing). This the HD-TVI-D4V indoor HD dome camera with built-in infrared night-vision and a 2.8-12mm vari-focal lens. 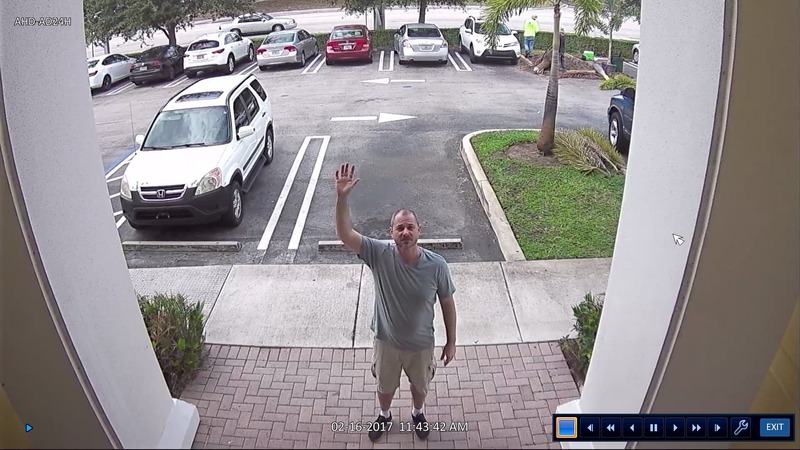 This is one of the best pictures that I have seen captured by a 1080p security camera. Look at the clarity! Here is a screenshot of all 4 cameras on one screen. iDVR-PRO – this hybrid HD DVR supports AHD, TVI, and analog CCTV cameras. It is a great choice for customers that need to mix analog CCTV and HD cameras. It is also a great choice to go 100% 1080p HD for all cameras. 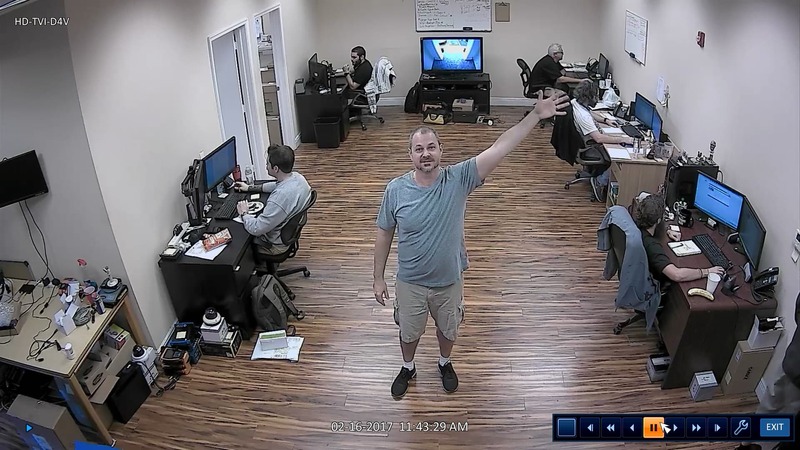 The 4 cameras used in the above video were connected to a 16 channel iDVR-PRO to record the video surveillance footage. RG59 Siamese Coax cable – this cable was used to connect all cameras to the DVR and 12V DC power supply box. Here are some additional articles and videos that may interest you. Will My Old CCTV Camera Work with a New HD Surveillance DVR?